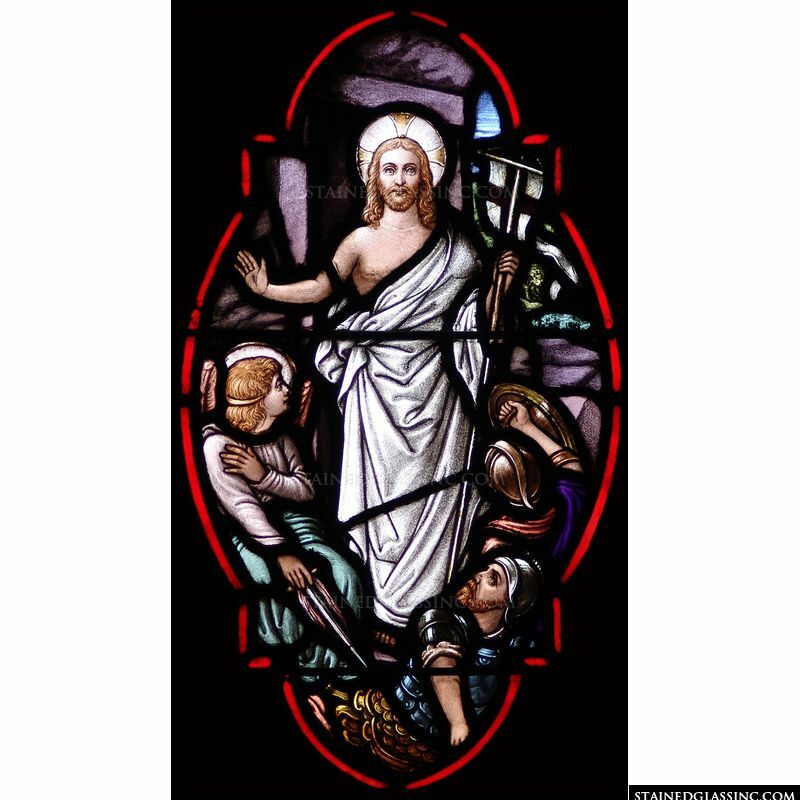 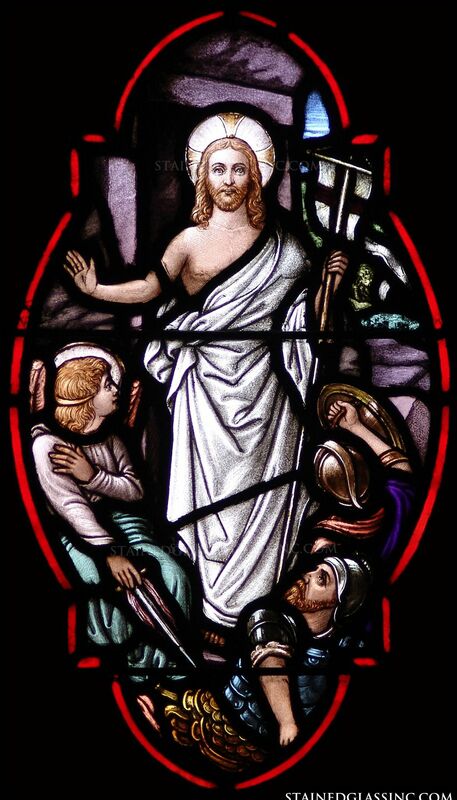 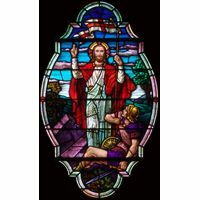 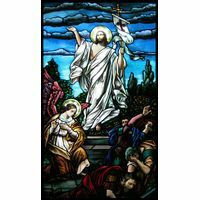 This is a beautiful representation of the resurrection of Christ in stained glass. 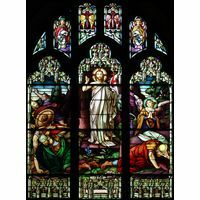 It inspires viewers through its lush color palette, shading, textures and emotional interpretation of this important moment in the Christian faith. 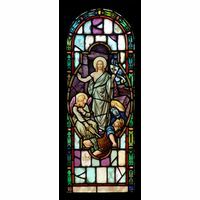 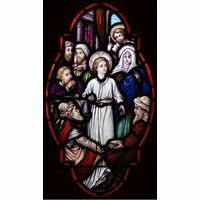 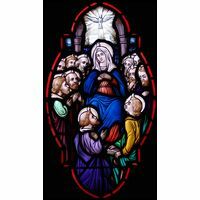 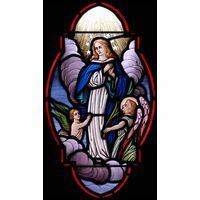 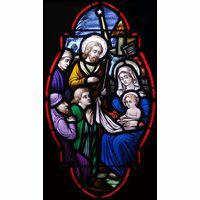 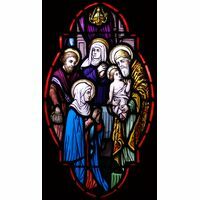 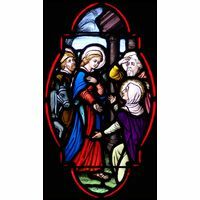 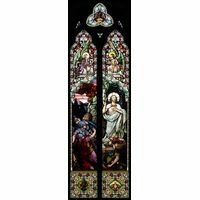 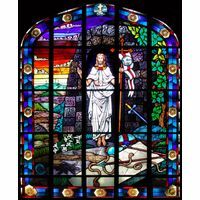 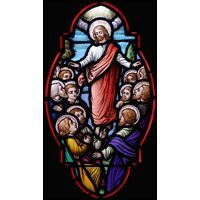 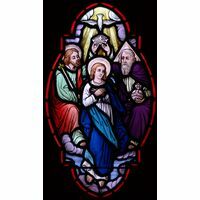 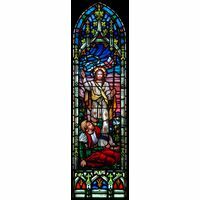 This stained glass design offers a bright border that is part of a collection of stained glass designs on Christ's life that work on their own or in a series for a wall of church windows.